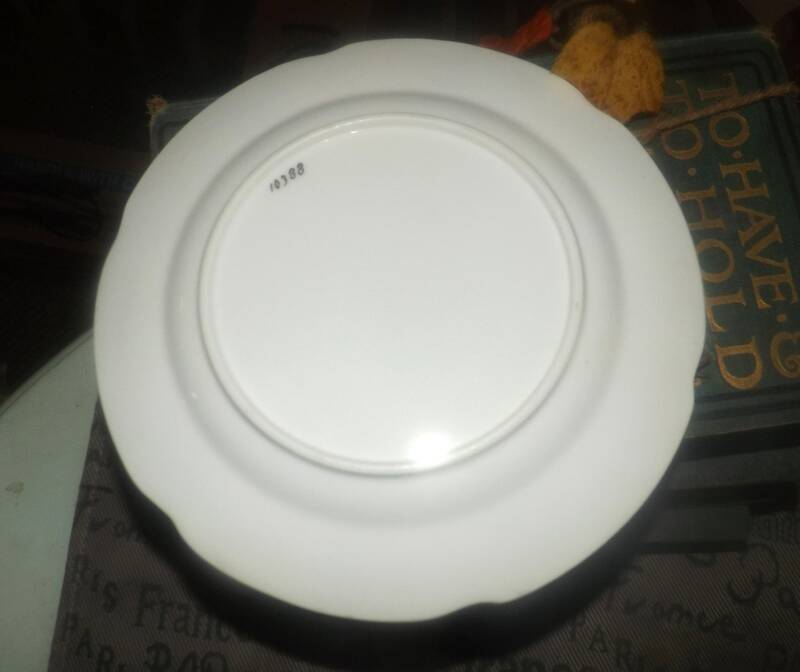 Antique (late 1800s) William Adderley hand-painted numbered dessert plate. Rd pattern #341448 | 10388 to back. 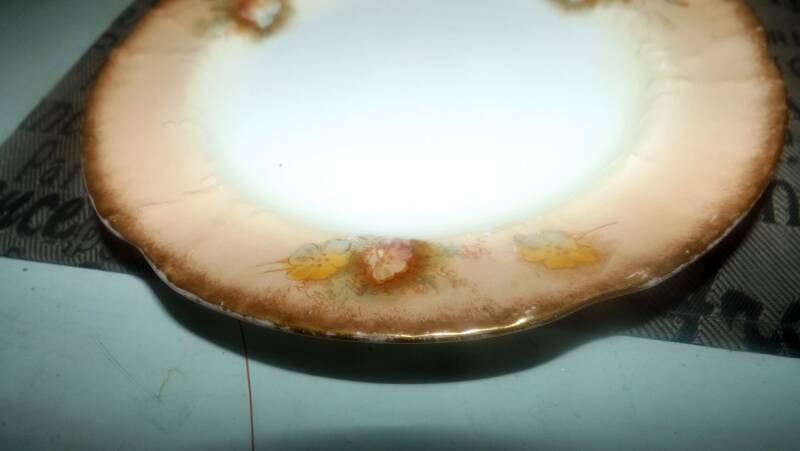 Antique (1800s) hand-painted William Adderley bread-and-butter, dessert, or side plate. Rd pattern #341448 impressed to back with hand-painted 10388. The numbers 18 1 are also impressed to back. Made in England. The Rd mark (replacing the diamond-shaped kite mark 1884) puts the manufacture of this plate into the year 1899. 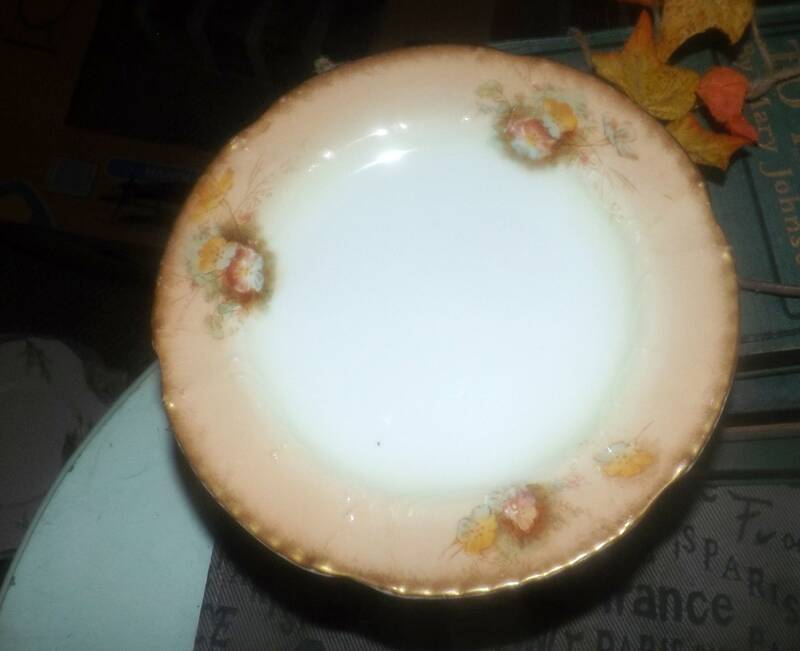 Plate features sprays of fall flowers and botanicals with a graduated coral band and a hint of graduated green with embossed details and a scalloped, gold edge. In EXCELLENT! antique condition with NO! chips, nicks, cracks or fleabites, LITTLE TO NO! loss to the scalloped, gold edge and LITTLE TO NO! crazing. 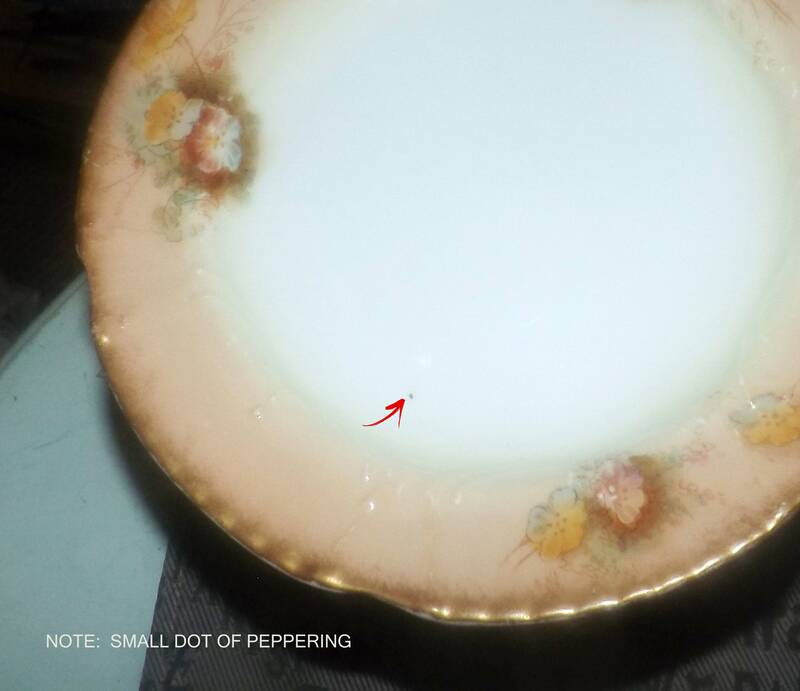 There is a small dot of peppering - black dot that occurs naturally in the pottery when kiln fired. Otherwise, there are NO! 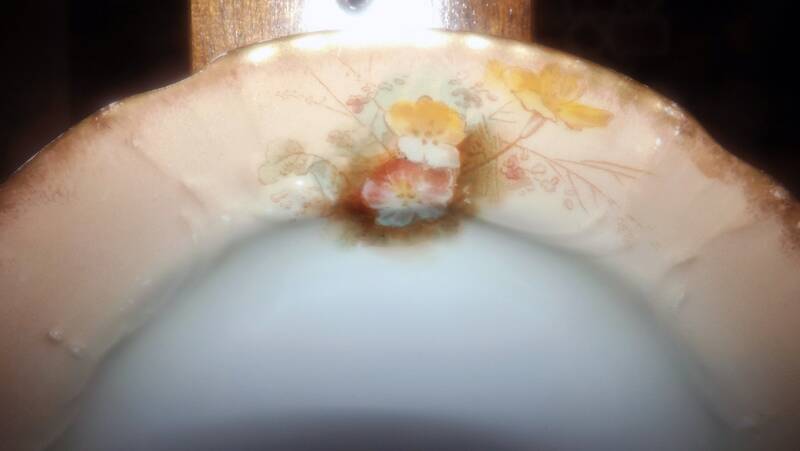 other marks, stains, scratches or other signs of use or wear (please review each of the posted photos for a complete visual of the item). Approximate measurements: 6-3/4" in diameter with a scalloped, gold edge.